Prior to the Agency's formation, its responsibilities were in the hands of the now defunct South African Roads Board that, at the time, was an organ of the Ministry of Transport. However, studies revealed that the Department's activities could be more efficiently and cost-effectively undertaken in specialised environments by professionally-managed, arms-length agencies functioning on commercial principles. The Department of Transport, therefore, restructured and rationalised its operations, establishing four different agencies, of which the National Roads Agency was one. Established in 1998 in accordance with the South African National Roads Agency Limited and National Roads Act 1998, the Agency is an independent, statutory company registered in terms of the Companies Act. The South African government, represented by the Minister of Transport, is the sole shareholder and owner of the Agency. The mandate of the Agency is to develop, maintain and manage South Africa's national road network comprising over R30 billion in assets, excluding land. 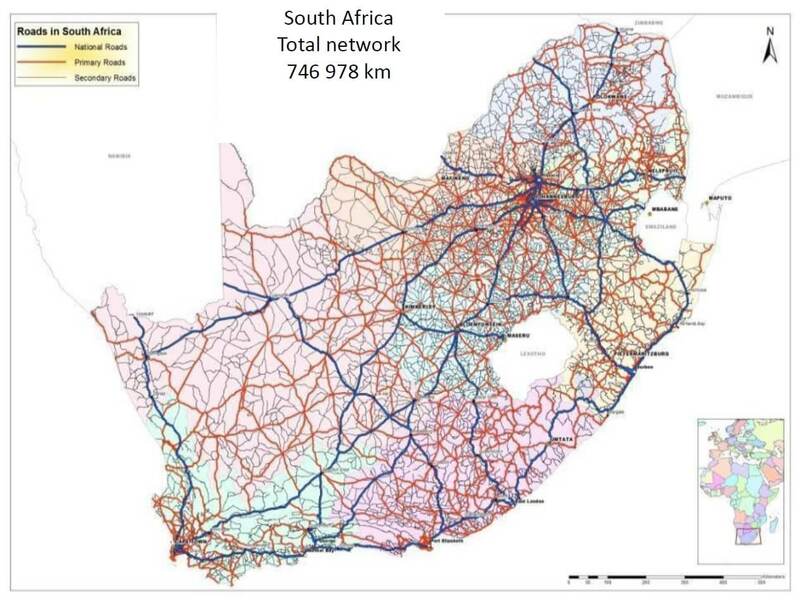 To strategically plan, design, construct, operate, rehabilitate and maintain South Africa's national roads. To deliver and maintain a primary road network of world-class standards. To generate revenues from the development and management of these assets. To undertake research and development to enhance the quality of South Africa's roads. To advise the Minister of Transport on matters relating to South Africa's roads. 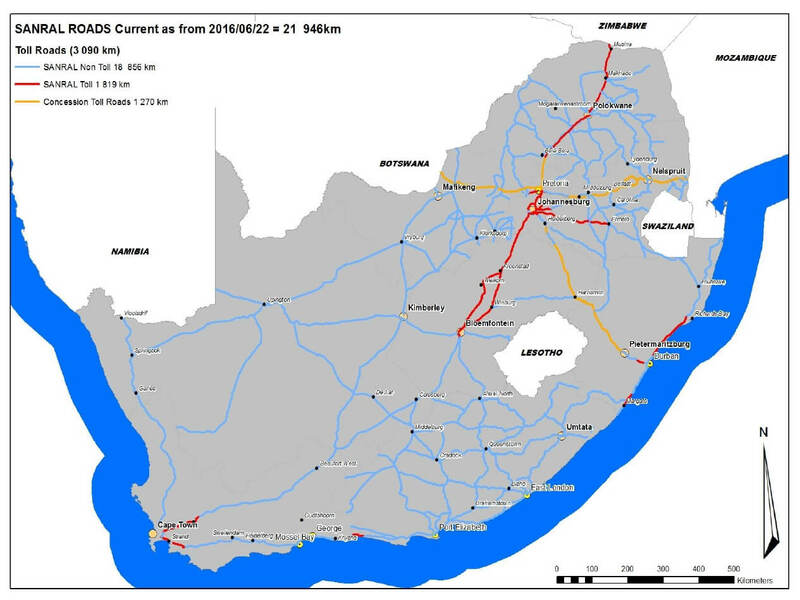 To plan, design, construct, operate, manage, control, rehabilitate and maintain roads in any foreign country in response to a request by South Africa's Minister of Transport, following appropriate agreements with that country. The Agency is managed by a Board of Directors, being experts in various spheres of business and infrastructure development. Improved levels of financial reporting and corporate governance, are but two of the focal areas of our Board. The Board reports directly to the Minister of Transport via its Chairman. Through the formation of strategic alliances and partnerships, in particular with the private sector, the Agency strives to be at the forefront of technological and engineering innovation. The public/ private partnership concept enables the Agency to obtain maximum leverage and ensures service delivery, without compromising fiscal integrity. It is recognised and accepted that the infrastructure of any nation is the foundation for sustainable development. Investment in national infrastructure expresses the economic, socio- political and cultural vision of a nation. It also reflects a view of regional and international trade relations. Therefore, capital investment in transport infrastructure is an expression of a long term view towards socio- economic development objectives and an expression of the Agency’s vision for South Africa. 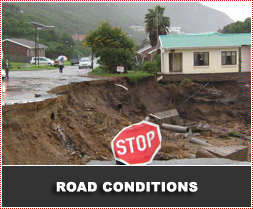 Information from the website of the National Road Agency.